New and improved user interface: Take advantage of a streamlined new user interface that lets you handle calls and navigate more efficiently than ever before. Call log notes during an active call: You don't have to wait until a call ends to take notes; in addition to taking notes after your call ends, you can now take important notes of your discussion while the call is still active. 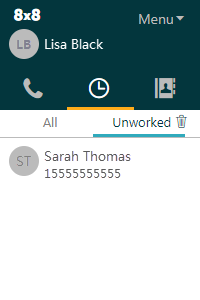 Ability to access unworked calls: Never let another unlogged call slip through the cracks; if you have not logged some of your previous calls, you can easily find them under the Unworked sub-tab of the Call Log tab. You can edit the call notes and populate the call outcome, and save the call log. 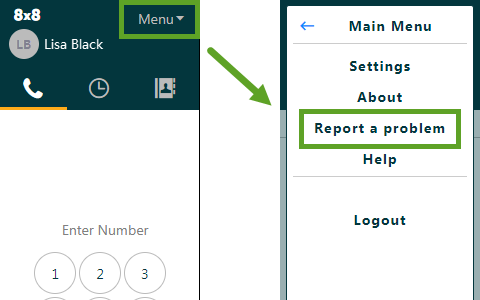 Option to send feedback: If you encounter an issue or have a suggestion for an improvement, quickly and easily send feedback on the app by going to Menu > Report a problem. Support for Virtual Office Editions users: The latest version of Virtual Office for Zendesk is now available for Virtual Office Classic and Virtual Office Editions users alike. More persistent settings: Don't worry about resetting your settings or custom call outcomes when you clear your browser cache; your settings in the app now persist independently of what happens in your browser.